The Hercules Terra Trac M/T – Extreme Traction on Every Terrain. With its distinct, Hi/Lo tread design and increased siping, the Terra Trac M/T delivers extreme terrain traction when off road, and better handling and a quieter ride on the road. 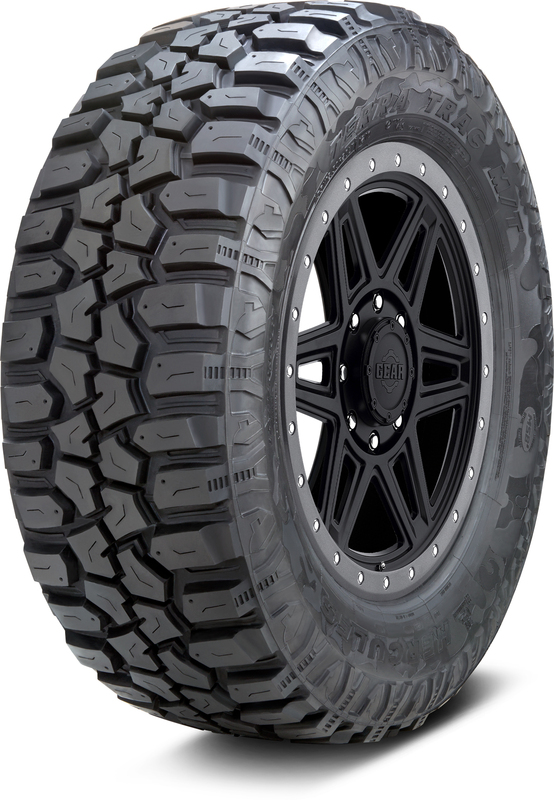 It features scalloped tread blocks to easily scoop away mud and boasts an aggressive camouflage sidewall design guaranteed to turn heads. This modern mud tire is perfect for the weekend warrior just waiting to dig in when the week—and the road—ends. Aggressive open shoulder design features scalloped tread blocks for greater traction and mobility in soft surfaces. Lower void-to-rubber ratio in the middle of the tread acts like a center rib to promote better handling and a quieter ride, while deep siping improves wet traction.